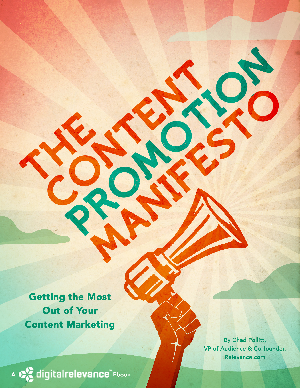 If 2013 was the year of content marketing, 2014 shaped up to be the year of content promotion. It was merely a few years ago when early adopters of content marketing could publish blog posts, infographics, and ebook on a regular basis and see large influxes of traffic to their sites. Both search and social channels would serve up visitors in droves. Those days are long over for the vast majority of industries. As a result, an ecosystem of tools, networks, and techniques have been developed to help content marketers converge paid and earned channels with the owned media they’ve deployed in order to quickly build the audiences they seek. In other words, content promotion as an industry was born. support, resources, and buy-in to amplify their current content marketing activities.